Extra clear, patterned low iron glass, with very high solar transmittance for improved solar energy conversion, consistent performance and durability. Pilkington Sunplus™ is a glass specifically developed for crystalline silicon photovoltaics. Pilkington Sunplus™ is a high performance low iron glass with very high solar energy transmittance. When toughened, this solar glass&apos; strength and durability make it the ideal choice for crystalline silicon photovoltaics, as well as for solar thermal collectors. 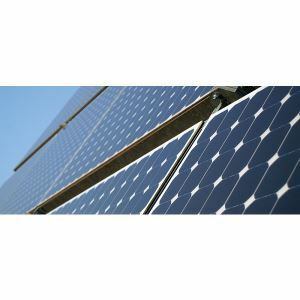 Pilkington Sunplus™is used extensively as cover plates for crystalline silicon solar cells in photovoltaic modules. For more information on the Pilkington Sunplus™ product range, please read our Pilkington Sunplus™literature, or stay up-to-date with our latest solar glass news. View our full range of solar glass products. Solar water heating systems are generally composed of solar thermal collectors, a water storage tank or interconnecting pipes and a fluid system to move the heat from the collector to the tank. The sun&apos;s energy is used to heat water flowing through the interconnecting pipes. The water can be heated for a wide variety of uses, including domestic, commercial and industrial applications. Flat-plate solar thermal collectors consist of an insulated box which contains a dark absorber plate under a glass cover that hermetically seals the system while maximizing the energy input. The glass cover plate will transmit the sunlight while protecting the system from harsh weather. Toughened, high transmittance glass is required for this application; our Pilkington Sunplus™ and Pilkington Optiwhite™ are ideal for such applications. Available in fully tempered/toughened form to provide excellent strength with resistance to hail, mechanical impact and thermal stress.